Shannon Manders is the Editorial Director of GTR magazine, the world’s leading international trade finance magazine. She has been the Editor of the publication since 2012, and in January 2017 her role extended to become Editorial Director. 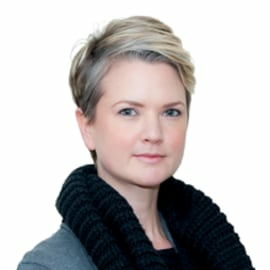 Shannon has extensive experience in moderating discussions, both at GTR’s own conferences and at a range of other industry events hosted by the likes of the ICC, IFC and SWIFT (Sibos). She also regularly covers stories from international locations, and has hosted numerous roundtable discussions and webinars. Shannon completed her degree in South Africa, and worked in the publishing industry there for five year before joining GTR in January 2009.